If you thought those iPhone racing games were crazy, you may want to think again. The iPad has opened a whole new door to more exciting racing games with superb graphics. 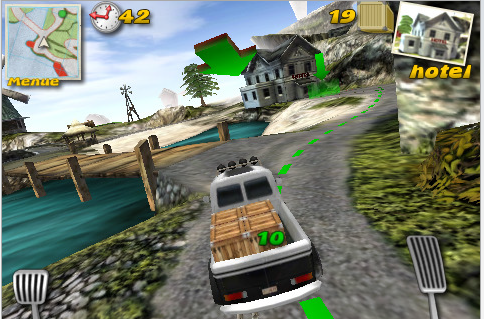 Parcel Panic is a 3D racing games that is addictive and quite challenging. It combines breath-taking graphics and intense gaming experience to keep you entertained on the road. You don’t have to be a genius to realize how much work the developers have put into developing this game. The goal is simple. You need to deliver parcels before your time runs out. 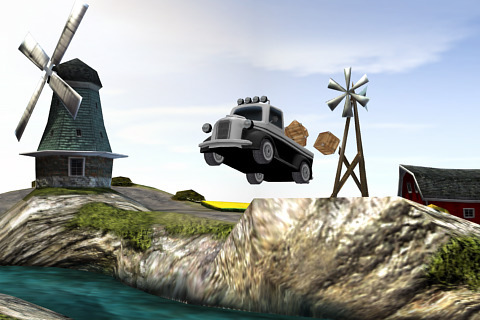 Before you get to deliver your parcels, you are going to have to do a few crazy jumps and pull a few tough maneuvers. Those unlocked routes and trucks do give you more incentive and something to look forward to. The controls are very easy to handle and the graphics are out of this world. The game’s physics bring you a more realistic experience. Support for OpenFeint is a plus. It’d be nice to have the ability to further interact with objects in this game. I wouldn’t mind some crazy twists (weapons, enhancements, …) either. Still, this is one exciting 3D racing game to play when you have some down time.